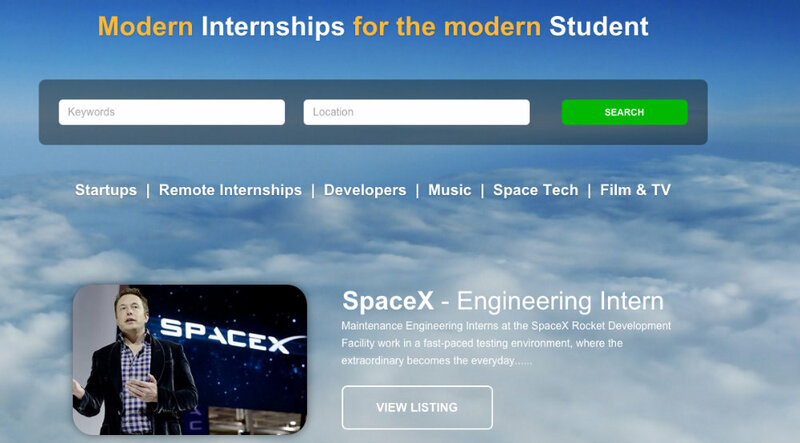 Any Intern is a job listing site of more than 35,000 tech internships. With the rise of startups and tech companies in general, there a plenty of people out there who are interested in a tech internship, but don’t know where to find one. What site do you search? Do you go to each webpage of each company? How do you know what’s legit? Any Intern wants to help those would-be tech workers by compiling all of the tech internships in one place. They have over 35,000 internships listed on their site, in categories like startups, remote work, developers, music, space tech, film and TV, politics, marketing, and accounting. Even though that’s a wide range of possibilities, all of the internships are tech-related, helping people gain valuable experience in their field of choice. They include popular sites like TED and Quora as well as up-and-coming startups for people who are interested in getting their feet wet. Each internship lists the company it’s for, where it’s located (and whether it can be done remotely), when it was posted, and when the offer closes. Users can click on the “Internship” button in order to find out more about the internship offer and, if they’re interested, apply directly through Any Intern. Getting into the job market can be really, really hard, especially if you don’t have any experience. Any Intern helps people who are interested in gaining experience in tech to find the awesome companies that want to work with them. Sound like you? Or does your startup have an internship opportunity? Either way, head over to Any Intern and see what’s waiting in your future.